Have you ever dreamed about doing something GREAT or exceptional? My whole life I have wanted to do great things. Of course, there have been times when I would have just been satisfied with getting through really tough times. But even then, almost every time I witnessed someone doing something really exceptional, I was moved and wanted that to be me. Hundreds of times through my life I have been moved to tears hearing of some person doing some heroic act or some amazing business achievement, or watching an athlete on Sunday doing the impossible or some unbelievable comeback story. I believe that we are all moved by greatness because greatness is in each of us. In most cases where greatness is achieved there is someone that has been preparing their entire life, showing up day after day and then when finally the right situation occurred, they were there and delivered. What is present when greatness happens? The same ingredients are always present in a person before they achieve greatness; they are present, committed, they take action and are prepared. The real separator is the preparation. This is what separates the people who are going through the motions and people who amass great wealth and success. Often times, I am asked, “Grant, how did you become a successful sales person?” The single biggest reason I became successful in sales was not because of my personality, the production, the company, or the economy but because I had the discipline to prepare and train. Anything you want to be great at requires training and preparation on a daily basis.Write a list of any of the great investors, athletes, artists and how often they work on their trade. Warren Buffett spends most of his day reading reports, LeBron trains more than others, and Leo completely commits to the studying and preparing for the character he is going to play. When I first started in sales, I was just showing up, taking my shots at deals and getting pot shot results. One month was good and the next month sucked. It wasn’t until I committed to my career and prepared with training material on a daily basis that I became a great salesperson. That is why I write books and record training programs today because I know that those who want to be great will find the materials and use them. Greatness doesn’t happen repeatedly because of luck but because of preparation. Most people aren’t great not because they can’t be but because they don’t train to be great. Most companies don’t have great people because they don’t demand greatness. I found for any training program to be effective, there are certain criteria that must be adhered to. I incorporated all of these factors in my online platforms cardoneondemand and cardoneuniversity because I found people would actually train if these points were met. Train daily! Everything worth doing is worth doing everyday. Make preparation a daily discipline not just on game day. Train with the goal to increase productivity. Think about your goals for the day, the calls you need to make and apply your training to generate results. Keep notes of rejections and points where you may have stumbled. Learn from them. Train in short segments. Two to five minutes is enough time to dedicate full attention. Training must be measurable and rewarded. Train for growth and seek out information to get you to the next level, to get you past where you may be stuck. Look, greatness does not come without training. Make a list of 10 great people you know in life and show me one of them that didn’t prepare. People who are at the top of their game are always training and are always looking for ways to improve. The same way professional athletes practice and work towards their goals, all of us need to train and drill so we can meet ours. If you played professional baseball, would you go to the batting cage every day? Of course you would. To get to greatness, you must practice. To keep the sales saw sharp, you have to spend time sharpening it. Are you ready to be GREAT? 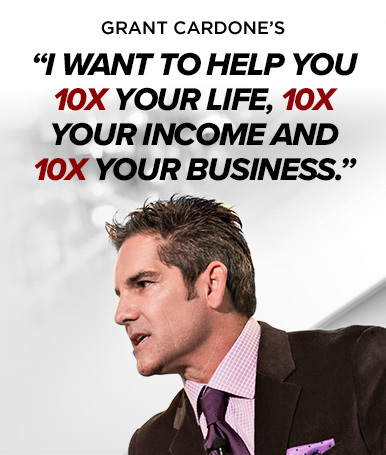 Call my office and I will show you how to make your mark on the world!